Confederate money was created by the South during the American Civil War as a means to establish an independent economy. According to CSANotes.com, the first Confederate money was issued in April of 1861 and continued to be issued until 1864 (the year before the war ended). The highest denomination was $1,000, the lowest 50 cents. The Union (North) attempted to weaken the Southern economy by releasing counterfeit money into the Southern states to inflate the economy. Feel the edges of the money. Most notes were cut by hand using shears or scissors. If it is rough or uneven, it is probably authentic. Be careful, though--due to the age of the paper, it might crumble or rip easily. Find the denomination of the note. According to CSACurrency.com, Confederate money was only released in $1,000, $500, $100, $50, $20, $5, $2 and $1 dollar notes; along with a 50 cent paper note. 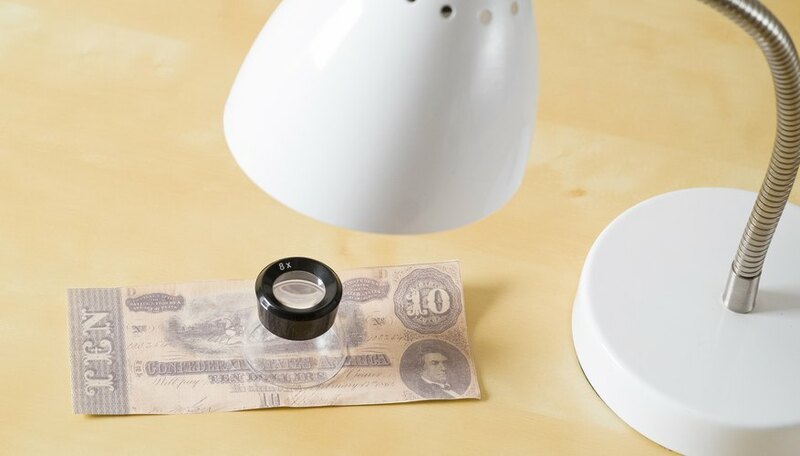 Use a good light source (a strong lamp) and a magnifying glass to check the signatures on the notes. 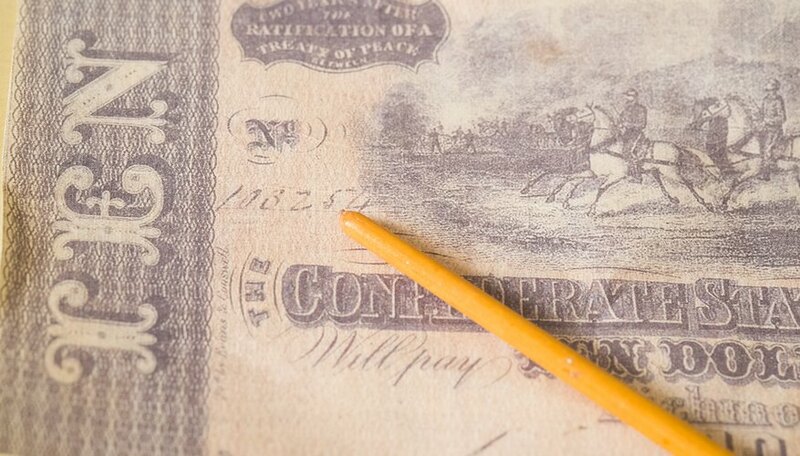 All authentic Confederate money was hand-signed before release. The 50 cent notes have signatures of “Ro. Tyler” and “El Elmore”; others have signatures of the Register and Treasurer of the Confederacy (different men worked under those organizations at different times). Locate the serial numbers. All Confederate notes have at least one serial number stamped or handwritten on them. Most of the serial numbers will be located on the top or bottom corners of the notes. Check the color of the paper. Notes of a lower denomination (especially the 50 cent notes) were printed on pink paper. All others were printed on white. 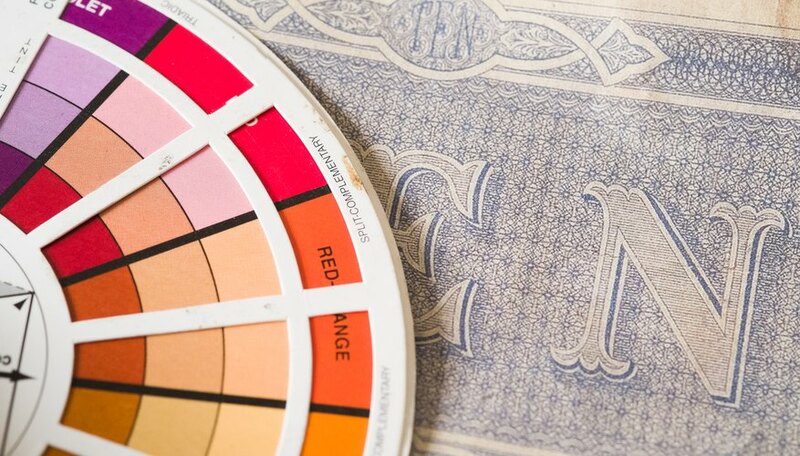 Remember that the color of the notes may have darkened over time due to overuse or the natural aging of the ink. Call on a knowledgeable antique dealer; preferably one well versed in Civil War history. 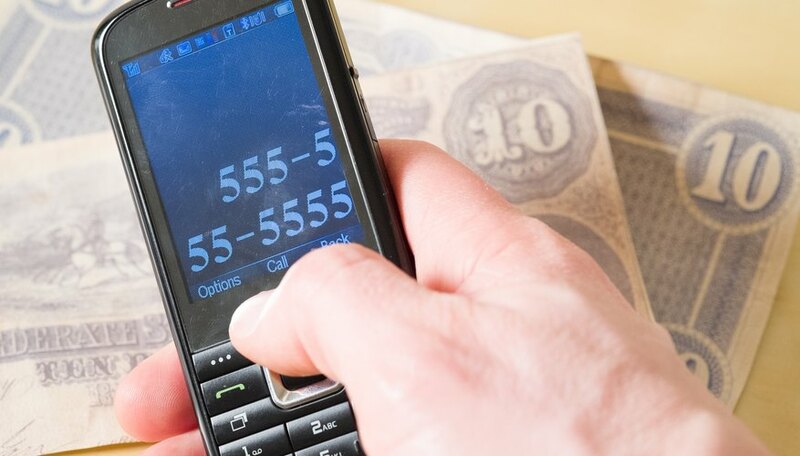 Most will be able to give you an idea if the money is real or not, as well as an estimate of how valuable the notes are in today's currency. 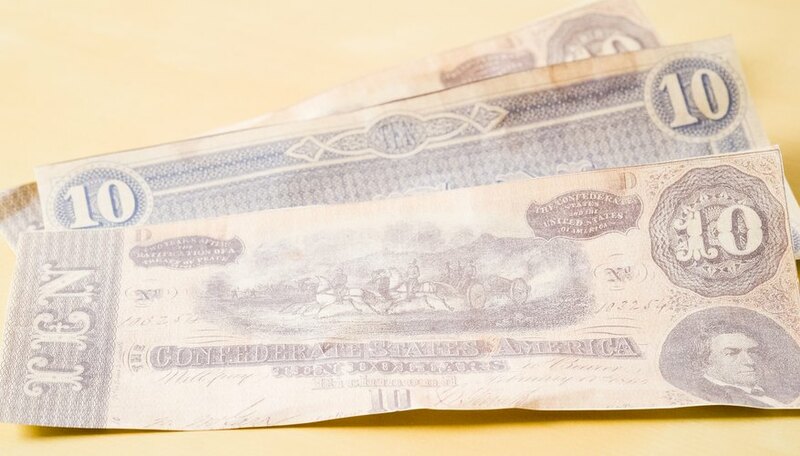 Correctly identified authentic Confederate currency is rare and can be extremely valuable. For example, in 2009, CSANotes.com listed prices from $50 to more than $3,000 depending on the denomination and condition of the note. Just because a note is no longer pink or white in color doesn’t mean that it's a fake. 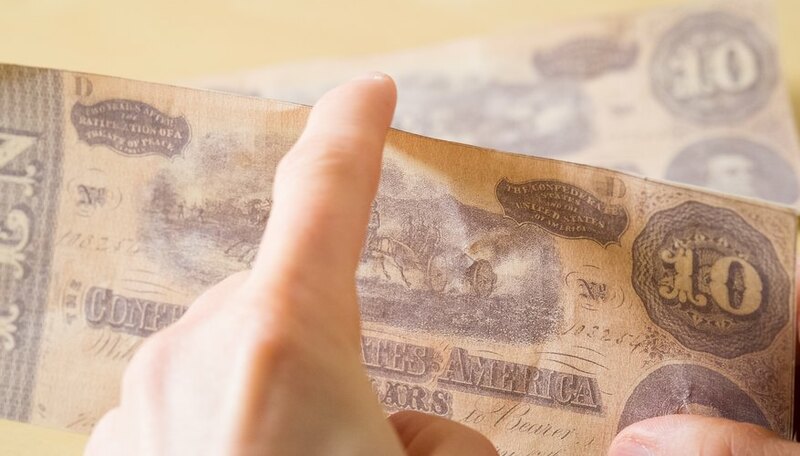 Age and overuse might have dulled the original colors, and if the paper was issued later in the war, it is likely the dying Confederacy was using poorer quality material. 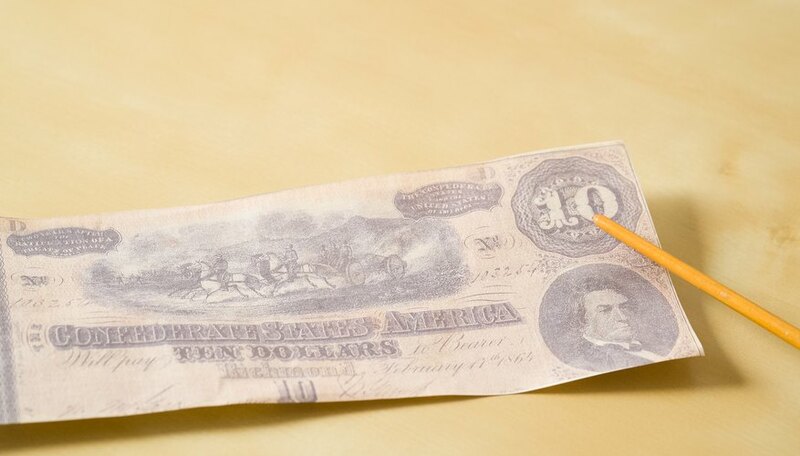 Fake notes, or replicas, were made after the war and are still made today. They are usually printed on brown or white paper, have missing signatures or serial numbers, and smudged pictures. Some even have the word “facsimile” printed on them. Katie Halpin works as a part-time freelance writer for Demand Studios where she specializes in subjects like history, government and animals. She worked for two years as a content editor and graduated with a Bachelor of Arts in political science from Emmanuel College in Boston.